Tastefully renovated in 2004, don’t be deceived by the fact that this three-bedroom home is semi-detached as the interior is deceptively spacious. The south-facing gardens also provide the perfect backdrop to autumn, whether you have little ones or visions of your very own oasis come spring. 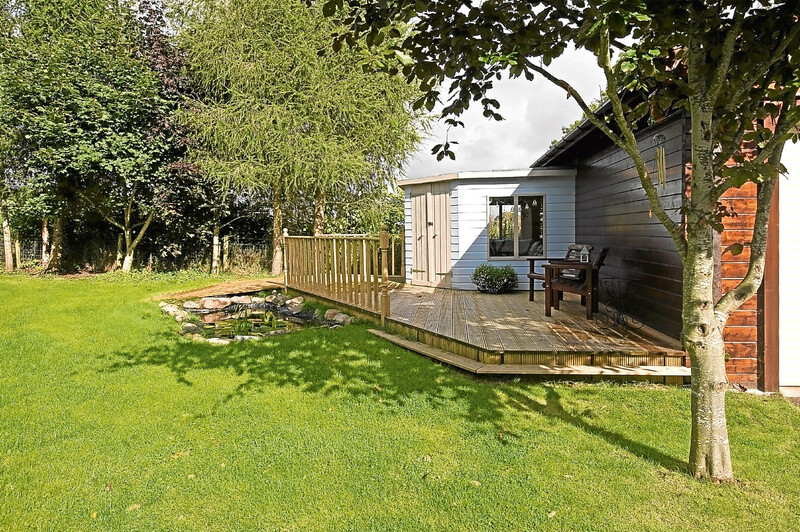 Perhaps one of West Park Steading’s most appealing qualities, of which there are many, is its practical layout which is well suited for family life. The ground floor accommodation flows neatly from the reception hall to the living room, which is one of two public rooms where you can entertain guests. The living room offers a cast iron fireplace with timber surround, while triple aspect windows overlook the garden. 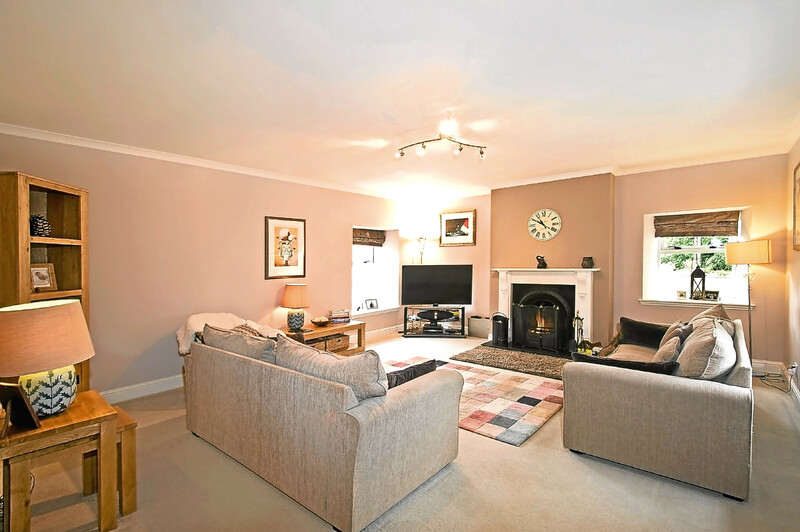 You’ll be able to watch the seasons change while staying nice and cosy in front of the fire, and it is the perfect room to retire to after dinner. The dining come family room is an incredibly versatile space and a neutral colour scheme of soft grey makes this room seem even bigger. Whether you have images of dinner parties or you want a further living area, there is certainly the space on offer. You need not worry about compromising on dining space as there is plenty of room for furniture in the modern dining kitchen. Whether you love to cook or feel more comfortable in the role of chief taster, the kitchen could easily become the heart of the home. 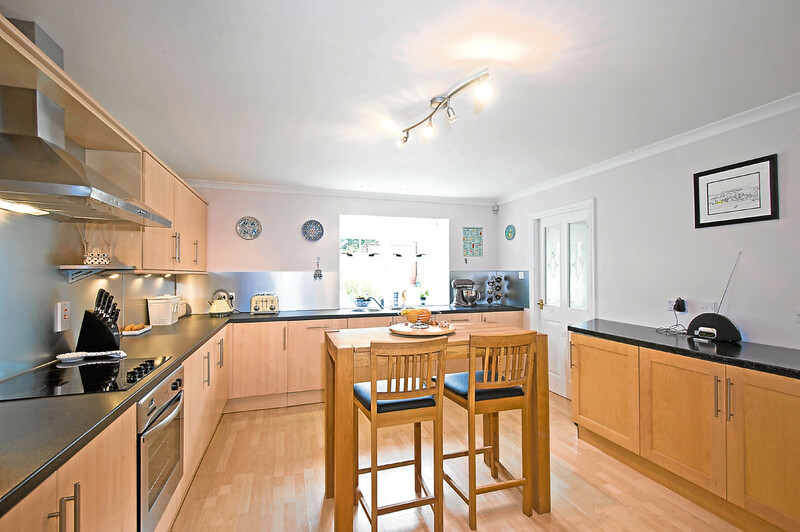 There is ample work unit space and you’ll be able to chat to guests as you cook – ideal! Completing the downstairs accommodation is the utility room, which will provide handy storage space for mucky shoes. Another striking feature of West Park Steading is the gorgeous oak staircase complete with oak panelling, which leads to all first-floor accommodation. There are two double bedrooms and a master bedroom, all of which have been beautifully decorated. Each room is packed with character, from sloping ceilings to trendy feature walls and skylights. The master bedroom boasts an en-suite and a study, which could also be used as a dressing room. The family bathroom is equally well equipped. Head outside where the gardens have been laid to lawn and are easy to maintain, complete with mature trees and shrubs. There are two sheds plus a large double garage. If you fancy a spot of al fresco dining, you’ll feel right at home on the decking area where you’ll find the beautiful summer house. Garden parties or a peaceful spot for afternoon reading, the choice is yours. 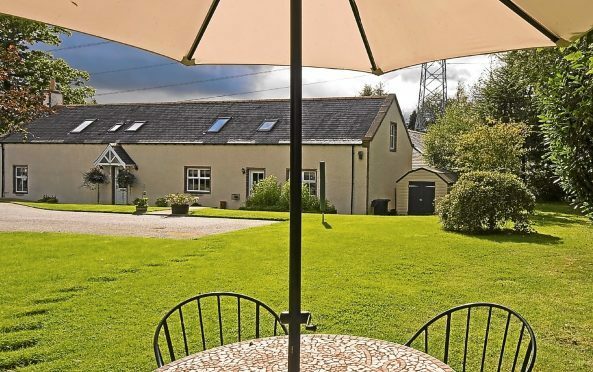 The village of Drumoak is only two miles away and you have the Deeside countryside on your doorstep, not to mention the thriving town of Banchory. Aberdeen is within easy commuting distance but come the weekend you can make the most of Deeside railway line, where you’ll find a brilliant walking and cycling route a stone’s throw from your new home. Offers should be made in the region of more than £350,000. Contact Strutt & Parker on 01330 826800.